Check Out Shiburi On Yelp! 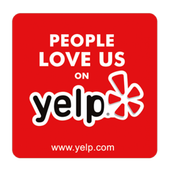 Our Most Memorable Yelp Reviews <3! ﻿﻿﻿"Every time I visit from California - I visit Trisha. There is NOBODY that I trust more to do my eyebrows than her. She makes me feel so comfortable and she does an INCREDIBLE INCREDIBLE INCREDIBLE job - I've had my eyebrows done by "top" eyebrow specialists in the city... waxers... pluckers... threaders... I've been looking for the past 10 years for someone worth going back to and 2 years ago, I found Trisha during a trip to California. Now, I will fly out for the weekend when my eyebrows need work just to see her and it is well worth the trip. Before my wedding, I took my entire bridal party here - and now they're all hooked, as well. They all talk about how they can't wait to go back to California so they can make a pit-stop to see her!" She's definitely one of the sweetest threaders around, and I've been to lots in the area. Give her a try!" "Trisha is fabulous. I live in LA and have my own businesses in Beverly Hills; however, I wait until I'm in OC so I can have her do my brows and upper lip (my husband and I share our time between LA and OC). In OC we live in Yorba Linda and I drive to Rowland Heights because she is THAT good. Super efficient, quick, precise, affordable & sweet. I HIGHLY recommend."